Chemicals, Metals and Powders - The Independent Global Source for the Flexible and Printed Electronics Industry. 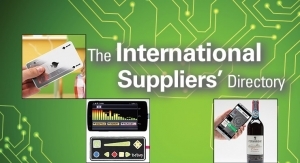 The Suppliers Directory offers comprehensive industry information, from products and materials to equipment and services. For OE-A members, the growth trend of this international industry remains stable. Incremental debottlenecking and capacity expansion projects to meet global demand for silicone-based solutions. Operating sales increase by 6%, but EBITDA slightly below first six months of previous year due to higher raw material costs. Creating a challenge for production and logistics at the Ludwigshafen site. 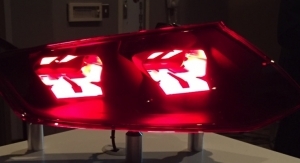 Adds Advanc3D Materials, Setup Performance under the umbrella of BASF 3D Printing Solutions. Sales increase by 8% to €2,247 million, and EBITDA improves to €470 million. 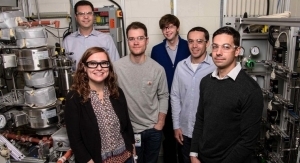 Research paves the way for cost-competitive, sustainable acrylonitrile and carbon fibers from renewable biomass. The plant is scheduled to start commercial production in March 2019. The new computer offers approximately 10 times the overall computing power previously available to BASF researchers. Divestiture includes a production site and transfer of 69 employees to Shenzhen Capchem. New production line for UV, LED and EB photocure resins, which should come on stream early 2019. New facility will be home to R&D lab, small-volume manufacturing and advanced analytical and quality assessment. Printed electronics are increasingly finding their way into everyday lives. 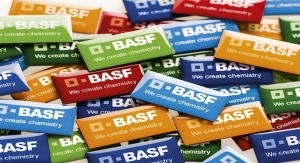 This is BASF Group’s biggest R&D investment in South Asia. Launchpad winners will show their innovations to more than 3000 attendees. Conferemce will be held March 28-30, 2017 in Munich, Germany. Added capacities in China, US will benefit sports, consumer electronics and automotive markets. André is named to Arkema’s Executive Committee. Booth will center on a panel display featuring materials used in touch screen components. Proceeding ahead with spin-off of Versum Materials, Air Products’ Electronic Materials Division company. Karl-Ludwig Kley hands over Executive Board chairmanship to Stefan Oschmann. Printed electronics is seen as a key technology of the future. Offers strong growth potential, especially in 3D printing. Global leaders chart next big tech growth sector. Court says MSD breached an agreement with Merck by using ‘Merck’ alone either as a trademark or a name in the UK. Plans to increase the dividend by 15% to 1.15 euros per share. 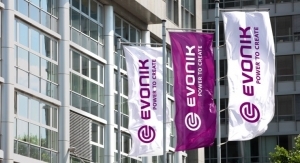 Evonik is investing in Chinese venture capital fund GRC SinoGreen Fund III. More than 400 million euro invested in 2015. Files initial Form 10 registration statement with SEC. Needed to recover higher raw materials, production costs and continued supply reliability. Focus will be on automotive industry, consumer electronics and wearables. 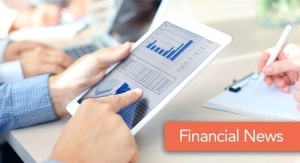 Nearly 80% of OE-A Business Survey participants expect a significant increase in sales revenue in the PE industry. New material features high strength and heat stability. Technology enables fine-line flexible circuits for areas such as flexible displays and printed, flexible circuits. Sales grew 4% to €3.4 billion, with Adjusted EBITDA up year-on-year at €653 million. Oschmann will succeed Karl-Ludwig Kley on April 29, 2016. The closing of the $17 billion deal is now expected within the next two months. New technology expands raw-material base for C4 chemicals. Company expects a completion of the transaction in 3Q 2015. Sales reach €1,070 million euros in 1H 2015, an increase of 9%. Sales grew 8 percent to 3.5 billion euros in 2Q 2015, with adjusted EBITDA margin at 18.8 percent. Sales increase 3 percent to 19.1 billion euros, with significant earnings increase in Functional Materials & Solutions. 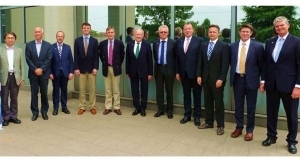 Investment of approximately 50 million euros strengthens Ludwigshafen as a research site. 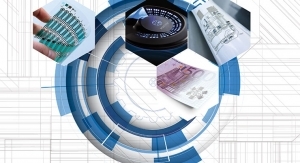 Printed electronics conference scheduled from April 5-7, 2016 in Munich. BASF to continue delivering customized solutions for the semiconductor industry. Samsung, AU Optronics are among the industry leaders that will discuss the possibilities for the technology. Unilever, Coca-Cola, Google, Intel, Toyota, Porsche and other leading end users are among the presenters this year. Emphasis of upcoming conference is how companies are making money. More than 500 attendees, 120 presentations expected at upcoming conference Feb. 29-March 3 in Monterey, CA. 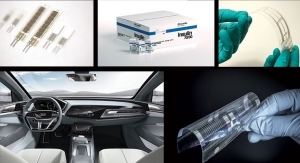 Printed Electronics Now’s top features span a wide range of topics during 2015. 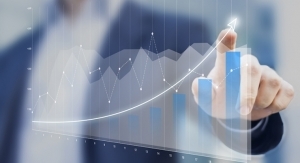 American Chemistry Council’s annual look at the industry sees growth ahead for the field. Combined company has $90 billion in sales, and plans to split into three independent companies once merger is finalized. 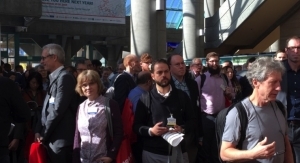 Nearly 3,300 attendees gathered to see what's new in the industry during Printed Electronics USA 2016. 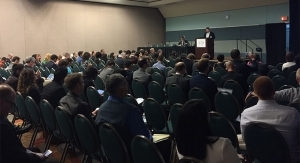 An estimated 3,000 attendees came to Printed Electronics USA 2015, which just concluded in Santa Clara, CA. 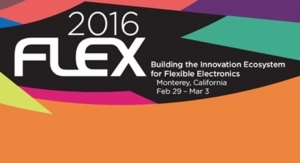 From healthcare and smart systems to wearables, sensors and more, IDTechEx LIVE! will highlight new technologies. 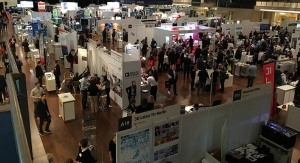 Conference shows latest in flexible and printed electronics, sensors, e-textiles, 3D printing, graphene and more. Record number of exhibitors, exhibitor space and demonstrators are among signs the technology is moving forward. Speakers, exhibitors share new technologies with more than 3,300 attendees. Leading corporations and young start-ups alike share their vision of the realities and possibilities of technology. Conference offers in-depth look at key growth markets at during eight concurrent sessions. Google, Unilever, Intel, Coca-Cola, Toyota, Caterpillar and Porsche are among the major brand owners presenting at the show. Attendance up nearly 25%, with participation by many major end users at the conference. New possibilities for printed electronics, wearables, sensors, IoT and more will be the focus of today’s presentations. LG Display, Jabil, NASA, Toyota and Google will be among highlights during today’s conference sessions.